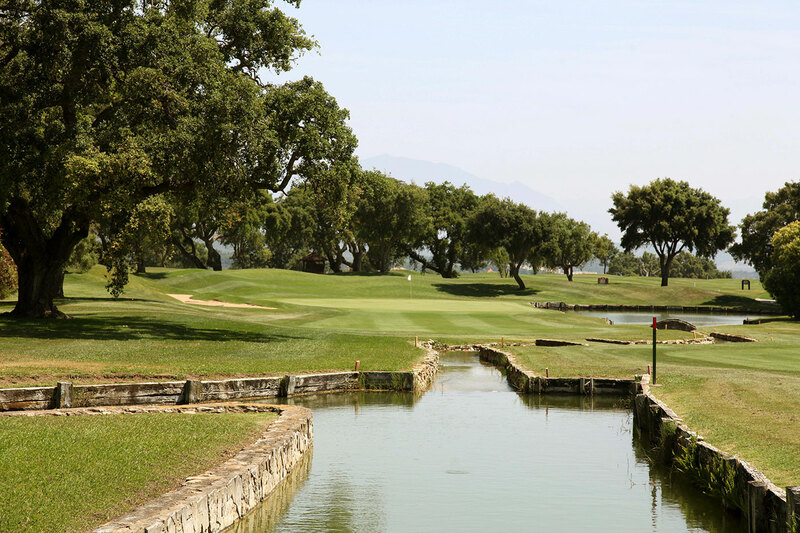 Rated as one of the finest golf courses in the world, the 6,494 metre San Roque Old course lies at the foothills of the Sierra Bermeja where the mountains meet the sea. 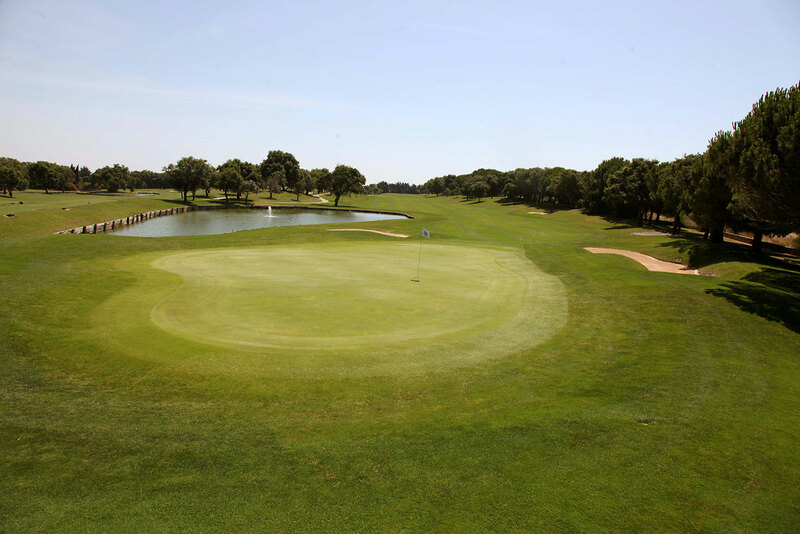 Its soil drainage and irrigation plus the expertise of the experienced team of green-keepers means that the course is very rarely shut due to bad weather and adds to the overall quality and condition of the course. 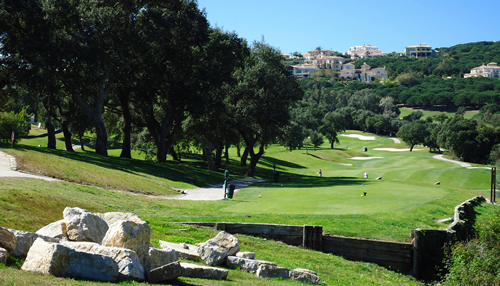 The holes are long and and some fairways look narrow from the tee box with the wide cork trees that seem to be everywhere. Once you are on the green, you have to deal with some of the best and fastest greens around. The par threes are amongst the most difficult as well, as if you are a little bit left or right you are in all sorts of trouble where you may not be able to recover! There a lots of quality holes though and you really will be in awe of this truly beautiful golf course. The club also offers all the facilities you would expect of the finest and most exclusive meeting place on the Costa del Sol. With four very different restaurants serving up a stunning array of high-class cuisine, from Japanese to tapas. 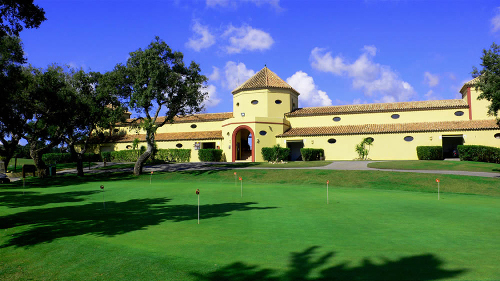 Below is the 18th Hole at San Roque Old, which is a par 4 and one of the best finishing golf holes on the Costa del Sol. Beware though! You will need to go over two lakes before making your final putts of the day. Course Facilities: Putting green, driving range, golf shop, golf lessons, buggy and trolley hire, restaurant, locker room.